Many people ask questions about A Rosary Litany, as those questions become more frequent, I’ll answer them here. 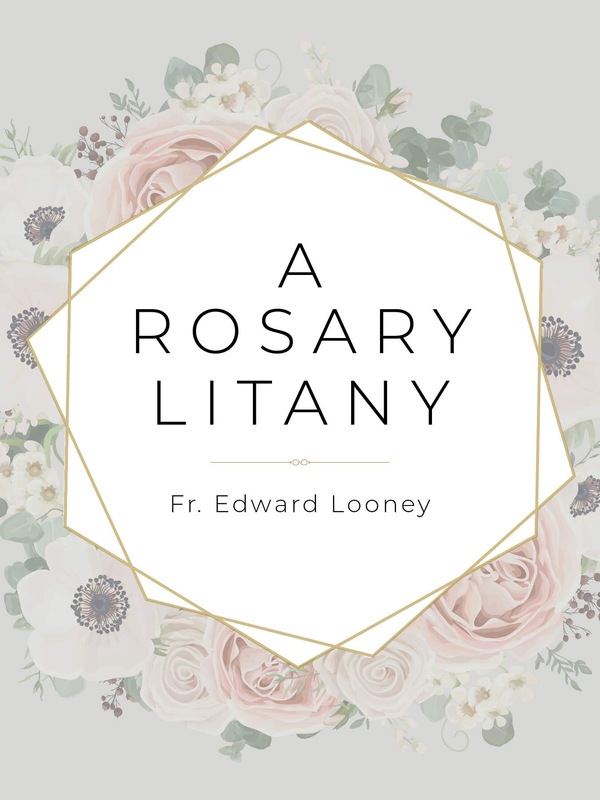 Is A Rosary Litany different from the Litany of Loreto? Yes, the title might be a little confusing for people. The book is not a litany prayed after the rosary. It is not the Litany of Loreto. A Rosary Litany proposes meditative phrases to insert in the Hail Mary following the names of Jesus or Mary. It is the successive use of the phrases that makes the rosary become “litany-like.” In fact, John Paul II described the rosary as a litany like succession of Hail Mary’s (Rosarium Virginis Mariae, 18). The meditative insertion makes the rosary even truer as a litany. What’s the difference between a scriptural rosary and the method you propose? A Rosary Litany includes a meditative element within the prayer of the Hail Mary itself whereas the scriptural rosary precedes the Hail Mary with a scripture passage. By inserting a phrase into the Hail Mary, such as thy womb Jesus, born in poverty, (recommended by Louis de Montfort for the Nativity), it allows the mystery to unfold within the context of prayer. It fosters a greater respect for the name of Jesus, by using it as a stopping point and allows one to more fully reflect on the mystery of Jesus Himself.